Kanakavalli is a brand that speaks of heritage, but more so of the person who created it. 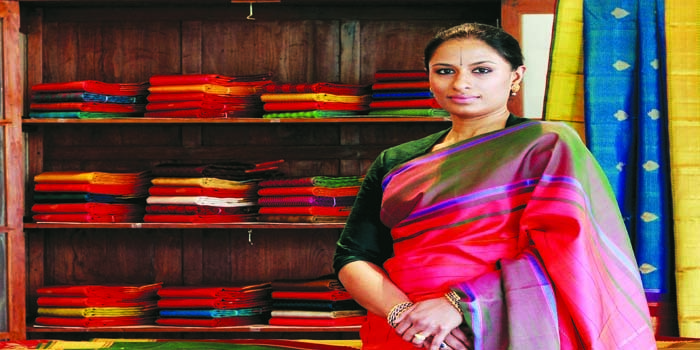 Ahalya Sakthivel, who is well-known for her aesthetic sense and love for traditiona��through brands like Rasvihar for jewellery and Sarangi for Kanjeevaram sarisa��has now taken on a new brand, Kanakavalli, to popularise a�?destination shopping for the traditional silk sari. The store in Adyar, which was launched on November 20, is a far cry from the typical hustle and bustle at the multi-storeyed shops in Panagal Park. With no jostling or hurrying, this is a sari-buying experience that will help you appreciate the fabric and the story behind its design. With around 650 saris currently on offer, you can tell from the lack of repetition that the collection has been handpicked from the weavers at Kanchipuram, as affirmed by Sakthivel. 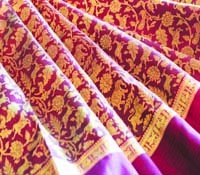 a�?There is a place in the market for a curated section of Kanjeevaram saris with its roots firmly set in traditional designs and its adaptability set in the contemporary context. Ia��ve experimented with pastels and greys that make it more wearable every day instead of just the jewel tones we are accustomed to. It is about elegant dressing. Kanakavalli is a collaborative attempt to revive old designs for modern preferences.a�? You will find traditional designs on rare colour combinations and vice versa in plain body or with small motifs with varying borders and pallus. Peacocks, rain drops and gopurams adorn these saris. An appealing pattern in the Kanjeevaram jacquard silk collection is a design in ribbed horizontal and vertical lines, with a smart zari border (at Rs.18,000), in bold colour combinations like hot pink and orange or blue and green. Want a sari made just for you? Sakthivel tempts with an offera��given specifications and 90 days, theya��ll design and get a sari woven at no extra cost. 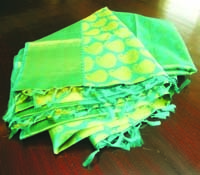 At the store, I am also told that Kanjeevaram silk saris are not meant to be sealed and kept safely in your wardrobe. Silk feels better and lasts longer, the more you use it. It is also easy to maintaina��give it one dry wash initially and then just hand wash it in water with a little shampoo.